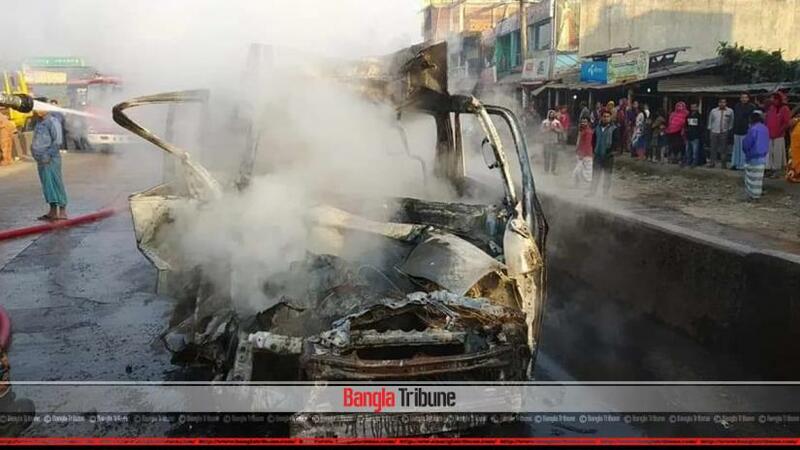 Three people were killed when a microbus caught fire following a collision with a covered van in Chattogram. The incident, which also left two others injures, was reported from Mirsarai area on the Dhaka-Chattogram highway around 7:15am on Tuesday (Feb 12). The identities of the victim weren’t immediately available, said Sitakundu Fire Station officer Wasi Azad. “Our rescuers rushed to the scene as soon as we're informed and rescued other passengers of the microbus,” he added.